Our studio is 5 years old, come and celebrate! Start of sales of the Summer Pass* = unlimited yoga in July-August for 130 euro ! On all other passes, student rate for everyone. If you purchase a Summer Pass your regular pass can be stopped for July-August. 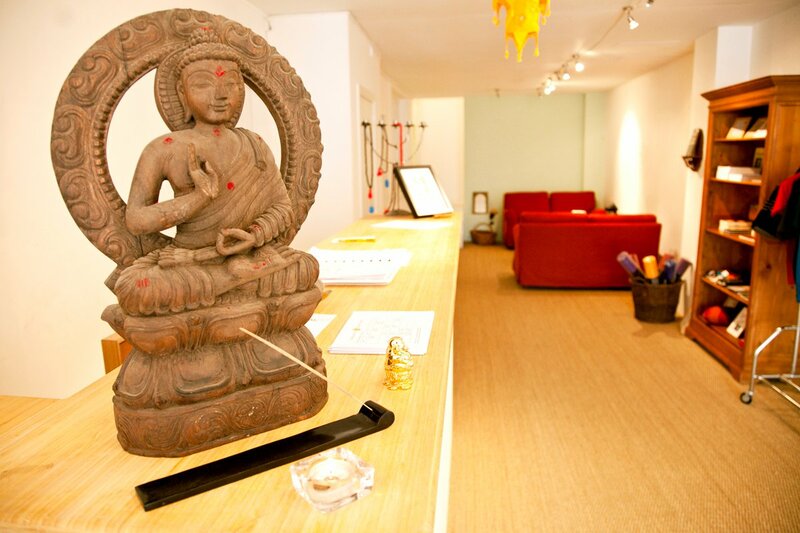 Place: Sampoorna Yoga Studio, 40 Rue du Houblon/ Hopstraat, 1000 Brussels. Categories: Yoga classes, Yoga info | Tags: Brussels, free, Sampoorna, yoga class | Permalink. I’d like to share my Summer schedule with you, I’m teaching regularly in the Sampoorna Yoga Studio in July & a few times in August as well. Teaching in the EU Council will continue until 23 July. I wish you a wonderful Summer with lots of ‘zenitude’ and yoga for your wellbeing. Categories: Yoga classes | Tags: Brussels, Sampoorna, Sivananda | Permalink. Single leg lifts improve the flexibility of the hamstring and calf muscles, which in turn helps prepare for the stretching of the back muscles in the various forward bending asanas. Double leg lifts provide abdominal strength, which is needed for many asanas, such as Sirshasana (HEADSTAND). Leg lifts are done after the Surya Namaskara. After having done Surya Namaskara, do single left lifts, then double leg lifts. Lie flat on your back with you legs together, feet are flexed, arms are by your sides, hands flat on the floor. You neck is nice & long, bring your chin slightly into your chest. Inhale and raise the right leg up to 90°, keep the left leg straight and on the floor. Exhale lower the right leg to the floor. Repeat both legs 5 to 10 times. Keep your knees straight, your feet flexed, your tailbone on the floor (don’t lift the pelvis of the floor). Inhale and raise the both legs up to 90°. Exhale lower both legs to the floor.. If you have lower back issues, bring your arms slightly under your body & your hands under your buttocks (palms facing the floor, keep the arms straight). If you have strong abdominal muscles: you can bring your hands under the head, interlacing your fingers, keep your elbows on the floor. After leg lifts, you relax for a couple of breaths in Savasana. Have you registered for the 2015 Brussels Yoga Mala yet? Do (1 or more, up to ) 108 sun salutations to celebrate summer and raise funds for charity, on 13 June 2015 at the Autoworld Museum (Cinquantenaire). We’ll be a (hopefully) huge group of Brussels’ yogins creating beautiful energy for a local charity. This year the donations will go to local charity “Serve the City Brussels“. Send an email to Brussels Yoga Mala with your name and contact details. Categories: News, Sivananda, Yoga info | Tags: 108, Brussels, charity, sun salutations, surya namaskara, yoga, yoga mala | Permalink.